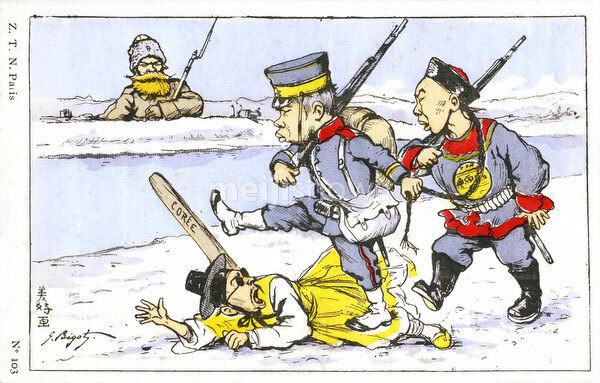 Satirical illustration from the Russo-Japanese War (1904-1908). A Japanese soldier steps on a Korean, while pulling a Chinese by his hair. A Russian is watching. Illustration by French artist and caricaturist Georges Bigot (1860–1927) published by Z.T.N. Paris.